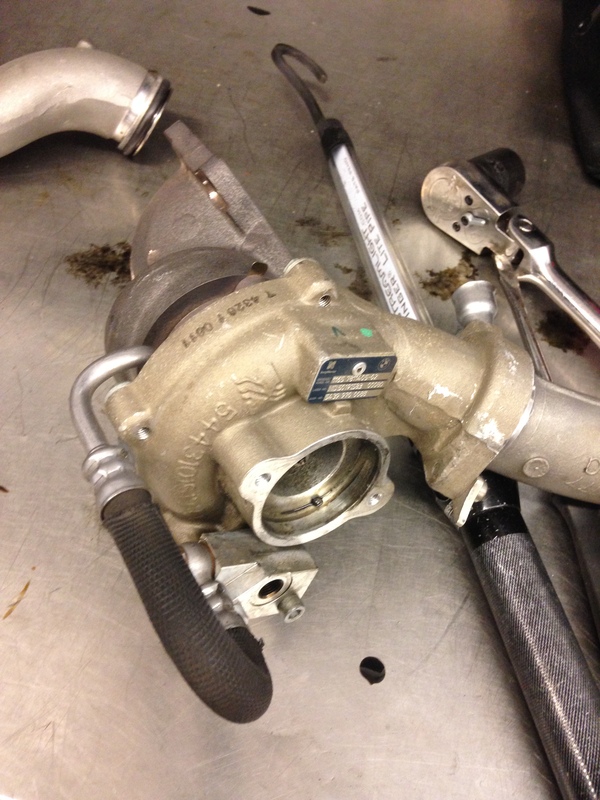 This is the small turbo on a 2013 x5 diesel,,,the small turbo bolts onto the bigger turbo,,,,we had no boost on the high and low turbos,,,,we also had a lot of noise coming from the turbos. Look what we found,,,,,the intake turbo blades chewed up,,,,the turbo shaft wasn’t loose ,,,,I was still able to spin the turbo. 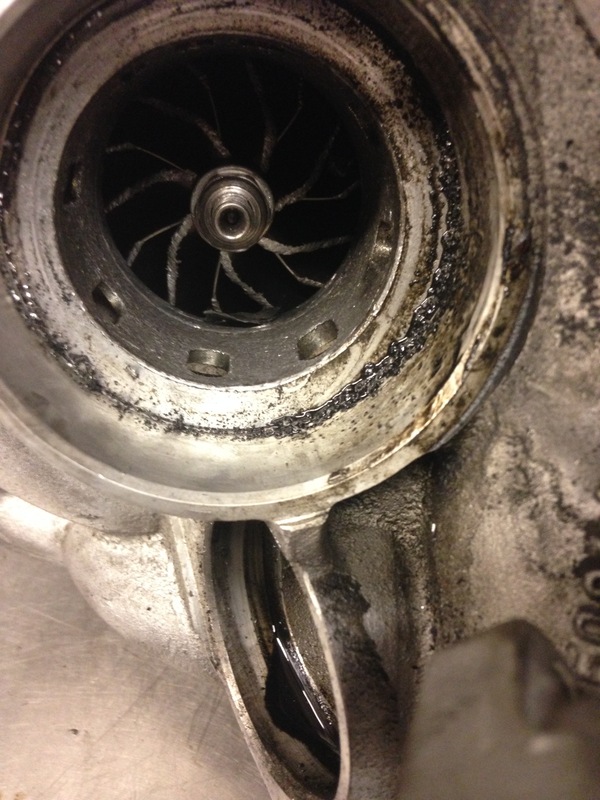 Here the inside of the big turbo blades are also chewed up.,,,this turbo stopped spinning. This little piece came out of the bigger turbo,,,don’t know where this came from,,,,we are probably going to replace both turbos and EGR coolers. This entry was posted in Uncategorized and tagged diesel, turbo damage, x5. Bookmark the permalink. How can you ensure that no debris are in the egine now? Its really hard to tell on a diesel if there is anymore debris ,,,,,all we can do is look and blow air though all the pipes and intake system. 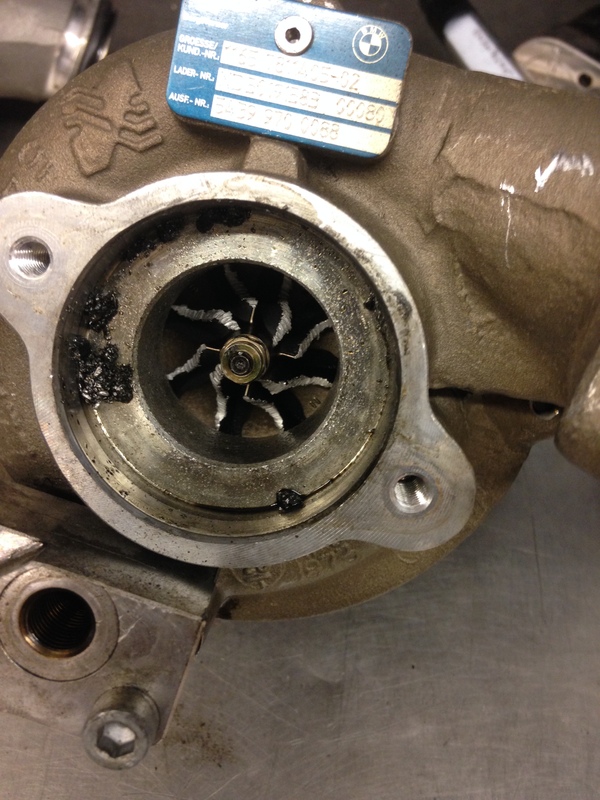 What in the world would cause the turbo to disintegrate like that? 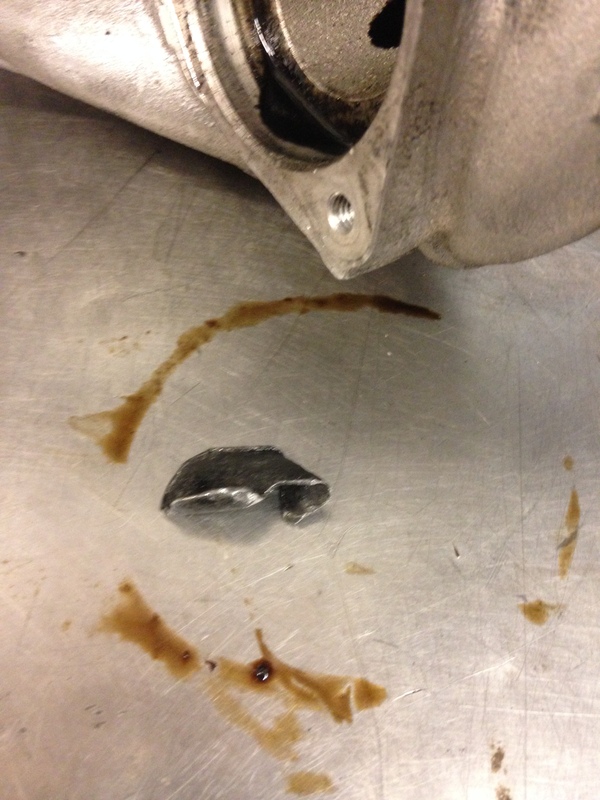 Was this a metallurgy problem that started as a small fracture that was imperceptible upon manufacture, or did the turbo ingest some foreign debris? The old Mercedes OM603 from the mid-1980s had an emissions reducing device, the trap oxidizer, which was notorious for cracking and sending debris into the turbo.